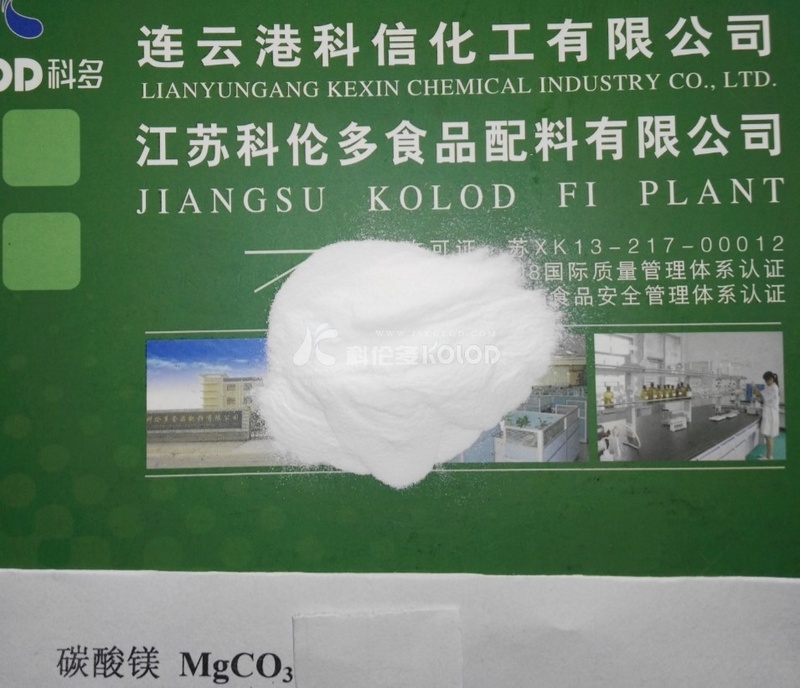 Magnesium Carbonate | Jiangsu Kolod Food Ingredients Co.,Ltd. 5、Character: It’s colorless prismatic crystal or cube crystal or white crystalline powder, odorless ,tasting salty. 6、Usage: It can be used as nutrition supplement, salt substitute, gelling agent, yeast food, condiment, pH control agent, tissue softening agent and so on.